I know, because when Sifu Singh came by Century a few weeks ago, we had the chance to take a class from him. And with a little luck (and clever scheduling!) I was also able to get an interview with him! 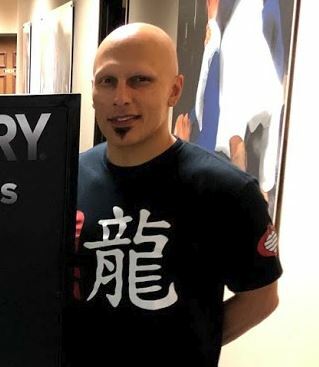 In these Centurion interviews, I like to ask about the martial artist’s backstory and inspiration, but I figured you would be interested in knowing more about what you’re getting at the SuperShow, so I covered that, too! You’re welcome! The Centurion: When did you start training martial arts? Harinder Singh: I started when I was six years old in Wasshin Ryu karate at the University of Toronto Karate and Judo Club. TC: What was it that initially sparked your interest? HS: My family immigrated to Canada from India when I was very young. My dad was a sea captain, and he traveled quite a bit. He wanted us to be able to defend ourselves (without him), so (training) was one of the first things we did. Also, I remember that when I was still living in India, maybe up until I was about three years old, over my crib there were two posters: one of Muhammad Ali and one of Bruce Lee. I think I was kind of subliminally brainwashed as a child! My dad picked those posters up on one of his trips, and that’s one of the things I remember from my childhood. TC: So you literally spent your childhood “looking up” to two martial arts icons! You started with karate – when did you move into Jeet Kune Do and other arts? HS: . Well, Bruce Lee was always an influence. My sensei gave me The Tao of Jeet Kune Do and Go Rin no Sho, the Book of Five Rings, when I was 13 years old, so it was always with me, I was always reading it. I actually took a little break from martial arts in college. I went to the University of California, Davis, on a tennis scholarship. But while I was there, I got into an incident where I was attacked at a local beach. (My friends and I) were going to a bonfire to celebrate graduation. We were simply in the wrong place at the wrong time. Some local gang members were there looking for somebody, and they mistook my roommate for that person. Before we knew what was happening, chaos broke loose. I had no idea what to do. It was just a whole different thing, outside of the dojo, outside of sport. Now, interestingly, in that chaos, was the first time I experienced what we call the “high performance zone:” a state of mind with elevated levels of attention and awareness, and the feeling that time actually starts to slow down – it’s like you’re in The Matrix. But I just didn’t know what to do. Well, luckily for us, the actual guys (the gang members) were looking for happened to walk by. I grabbed my roommate and we got out of there. We survived, but my friends were pretty badly beaten. I was completely frustrated, very angry, and I felt ashamed. I felt I should have been able to defend my friend. I then dedicated myself to finding the best and most functional martial arts I could find. I started studying from all the different ones. Later that summer, I was hit by a car while in San Francisco. That was a very pivotal summer for me. It changed my outlook. I remembered that Bruce Lee had been hurt, but he came back. My journey began out of disaster, I guess you could say. Training with Sifu Singh at Century Martial Arts. TC: When you first embarked on this quest to learn the most efficient martial arts, what were some of the initial arts you went to, and who were your teachers? HS: I started in Tai Chi, Wing Chun, and Jeet Kune Do. 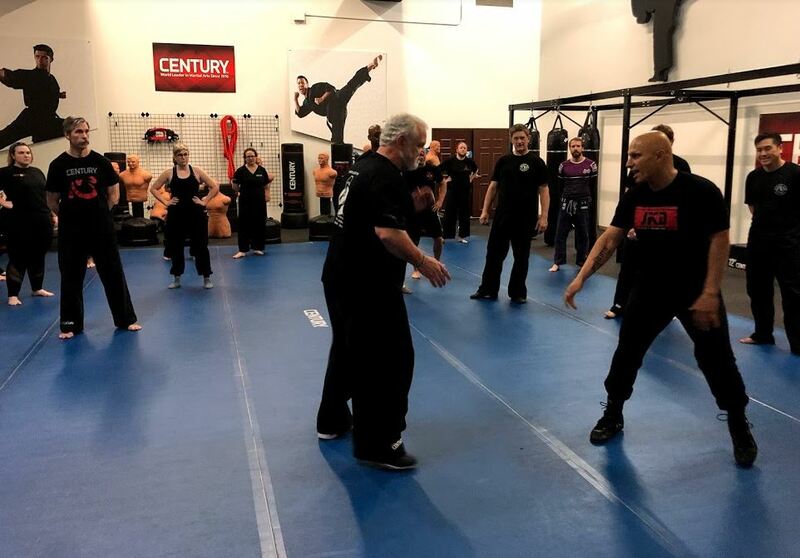 In Jeet Kune Do, I trained with Larry Hartsell, Richard Bustillo, Paul Vunak – I went to the people that were at the source of it. At the same time, I started to train in boxing, kickboxing and Brazilian jiu-jitsu to try and round it out. I also went into the traditional arts to learn more of the energetics, more of the philosophy, and more of the traditional methods. Together, they started to shape me. I realized that they needed each other: one was very practical, and one was about developing the person taking part in it. That started a philosophical journey, because for me, martial arts is a journey of discovery to find out who you truly are, so you can honestly express yourself. These days, people live in a constant state of fear of being judged, of what others are going to think, of not being good enough. I think that life is too short. If we can kill that part of us, we can live free. We have to let go and learn. More training! Sifu Singh moves (and kicks) too quickly to get non-blurry pictures; sorry! TC: I don’t want to just gloss over that wisdom – especially because “let go and learn” is something I really struggle with – but I have to ask: did you sleep? What was your training schedule like when you were learning all those different arts? HS: I think I’m a little OCD, in a good way! I just obsessed over it. For the first eight years (of intensive training), I was still working. I had a very good job in Silicon Valley during the dot com boom days. That afforded me the ability to go train with masters. So instead of going to Stanford to do my MBA, I started to invest in martial arts, in myself. For the last decade, I have been on my own, teaching, and it’s been the greatest joy of my life. TC: Was it difficult learning multiple arts at once? I know people have struggled with this, and I don’t think it’s uncommon to experience – for me, it was mixing up stance and range when learning a striking and weapons art simultaneously, and you were doing these, and grappling – was it ever an overload? HS: I think it comes down to the framework. When you are first learning, you need to be a generalist, and not a specialist. So that means you need to have a basic understanding in jiu-jitsu of guard passing, of defense, and getting yourself back onto your feet. But what if the fight doesn’t go to the ground? So you also have to build a base in boxing, in kicking. Eventually it’s like a switch goes off, and you see everything is geometric shapes. Everything is angles. Everything is vectors. You gain control over your body, in these different disciplines, and these different ranges. The human organism is the most amazing organism in the world in terms of our ability to learn and absorb. We absorb it, and then we become it. TC: So, you’ve mentioned that you’ve been teaching for a while. When did you know you wanted to become a teacher, and what makes a great instructor? HS: In karate, I started teaching when I was 13. So I’ve been teaching for a big part of my life, about 28 years now. I have several thoughts on teaching. Number one, for you to internalize material, you’ve got to teach it. I don’t mean that you have to go and open up a school – if I learned a lesson from my teacher, then I go teach the lesson to someone else. If that person asks questions… you’re either going to try and solve it, or you’re going to go back to your teacher and get the answer. And that’s integral to the growth of martial artists. Now, from another perspective, nothing gives me greater joy than to share. That’s when I’m truly in the moment, and I love it more than anything in the world. I believe that I’m not in the martial arts business, I’m in the courage, confidence and clarity business. That’s the business we’re all in. That’s the business Century is in; that’s the business that Black Belt is in, and MAIA is in. We’re bringing this platform to people through the vehicle of martial arts, to go on that vehicle of self-discovery and find out who they truly are, and know it, and own it. There’s no greater thing in the world than knowing who you are, and knowing what your power is. 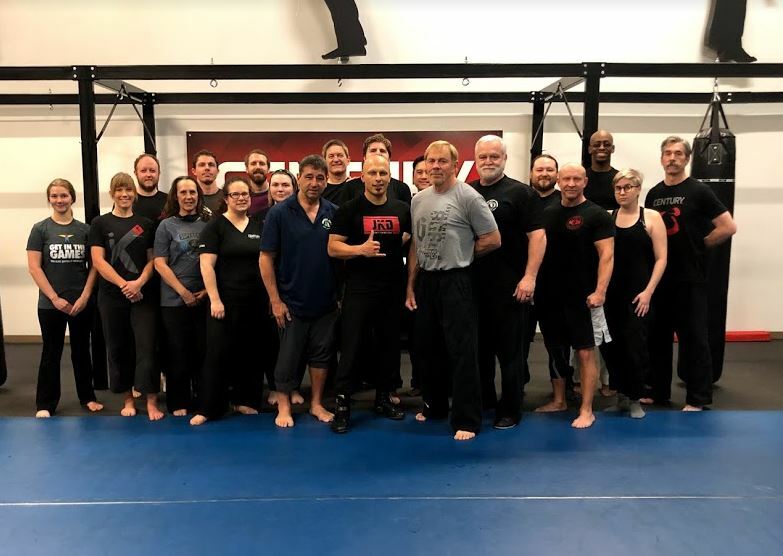 TC: Speaking of you as a teacher, what will you be teaching at the 2019 Martial Arts SuperShow? HS: So, we’re going to be doing two events there. There will be a six-hour preconference event, on June 30th, from 2:00 to 8:00 pm. 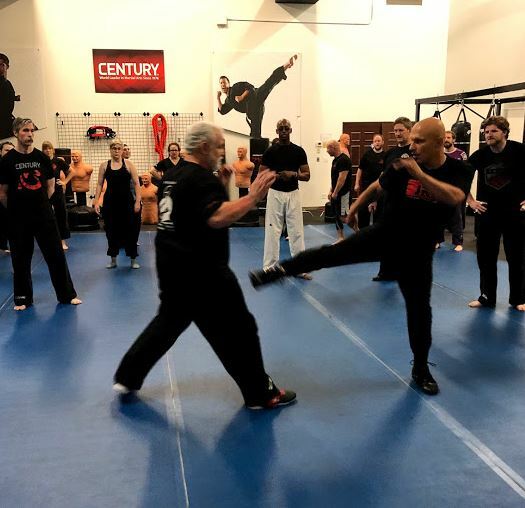 That event is titled “Jeet Kune Do for Black Belts.” It’s going to give people a preview for our upcoming new program, “JKD for Black Belts: Combat Tactics and Fighting Philosophy,” that we’re going to be launching with Century, MAIA, and Black Belt magazine. It’s tradition meets sport meets reality. It’s a complete, add-on program designed for school owners to provide a wider offering to their black belts, so they can increase retention without sacrificing the integrity of their art. We take a look at fighting philosophy, trapping hands, striking and attack strategy, anti-grappling, weapons work and training methods that allow you to develop your attributes – you know, higher level stuff. During the Show, we are going to be doing a one-hour seminar called Combat Chess. We’ll look at a fight as a chess match, and the various strategies that you can employ, regardless of your style or system, and play them in a format of games, so that we can learn the tools that we would use, the counterattack strategies, the attack strategies, and how we can all play in a very fun manner so that everybody walks away a better martial artist with brand new friends! TC: Is your seminar, Combat Chess, intended specifically for black belts or experienced JKD people, or can everyone go? HS: This will definitely benefit everybody! It’s for people of all styles and all systems, because it teaches universal styles and strategies. Knowledge is not power. Installed knowledge is power. It’s only when you install your techniques and tactics, and can perform those movements under stress, without thinking, that you have true power. We want to be able to get to that state, and we can do that through playing games. These games will make your karate better; they’ll make your taekwondo better; they’ll make your krav maga or your BJJ or your boxing or your muay thai better. And I think it’ll be a lot of fun! The end of class, with Herb Perez (center-left, blue shirt), Harinder Singh (center), Century founder Mike Dillard (center-right, grey shirt), Century President Paul Webb (behind Mr. Dillard, black shirt) and members of the Century Martial Arts Club. TC: You mentioned a few of your teaching concepts in the class you taught here – can you touch briefly on one or two that you’ll mention in your MASS19 seminar? HS: There’s the Five 5s. When we take a look at combat, regardless of style or system, there are five ranges of emptyhanded combat: kicking range, punching range, trapping range, the stand-up clinching or grappling range – which is a wrestling or muay Thai kind of idea – and then you have ground, which is wrestling or jiu-jitsu. We have to be able to adapt and flow through those ranges. From there, we want to take a look at the Five Gates of the human body. The human body is broken up into five gates: the upper gates, that go down the center line and across the heart, then two middle gates below them, and the last gate is anything below the waist. Then you have the Five Ways of Attack, and the Five Times to counterattack. We also have the Five Stages of Combat. So those are the Five 5s: the Five Gates, the Five Ways of Attack, the Five Times to counter, the Five Stages of the fight, and the Five Ranges. If we understand and take a look at martial arts through that lens, it doesn’t matter what your style or system is. I think there’s an argument these days about what style is better, but we need to look past that. It’s the person who is better; who can implement their style better. TC: You mentioned tactics for law enforcement a moment ago – you’ve done a lot of teaching to various law enforcement and military agencies. Is there a difference between training them and civilians? HS: There are two answers to that question. In some ways, military and civilian are the most similar and law enforcement differs from both. Law enforcement lives within a boundary, right? Military doesn’t live within a boundary. When you’re on a mission, you do what it takes to get the mission done. What we call the “use of force escalations” are going to be completely different. TC: Oh, that makes sense. If you’re a police officer, your first duty is to protect. So if a suspect – maybe a mentally ill person, you don’t know – starts behaving irrationally or resisting, you have to know how to deescalate rather than escalate. But in the military, you’re engaging someone you already know is the enemy. HS: Yeah, what if it’s mission critical, right? If you’re military and you end up in hand-to-hand combat, the situation has already escalated. Law enforcement officers, I think, have one of the most difficult jobs in the world, and they’re also one of the most underappreciated sets of folks in our community. They sacrifice a lot for us, and they’re always put in really difficult predicaments. There are individuals who make mistakes – but doctors make mistakes, too. So the way I teach law enforcement is slightly different. They still get the same basic techniques that the military does; however, law enforcement can only them within their own use-of-force policies within their division. Civilians will learn all the same material as the other two. So everybody learns the same material, but the applications and when to use it will vary. TC: What’s the most important reason why someone should train martial arts? HS: It’s going to help you in life. Work gets tough for all of us; bills get tough for all of us; 24/7, 365 days, the world is still going on. You may not get in a physical fight, but the warrior’s way that we learn from martial arts is transferable into everyday life: how we approach problems, how we approach challenges. Some people crumble, or they get stressed or they get anxious, or they’re afraid of losing. I don’t believe in victory or defeat. If you let go of your fear of defeat, you’re free. Because when you win, you win. It’s cool. But when you lose, you grow. That’s cool, too. If you just work on making yourself the best version of yourself – which is what we do every day in martial arts; we’re not sitting on the couch eating potato chips, we’re training, beating each other up. That’s what makes us a family; we all speak the same language. I think it’s one of the coolest experiences ever. Training with Sifu Singh is definitely on my list of coolest experiences ever (and I had to miss one session because my leg was impersonating a balloon). If you’re coming to the SuperShow, you should definitely try and fit one of these training sessions into your scheduled. If you’re not coming to the SuperShow, you should definitely actually try to fit the Show into your schedule. I’ll be there, too, working, so look for me! I hope to see you there.